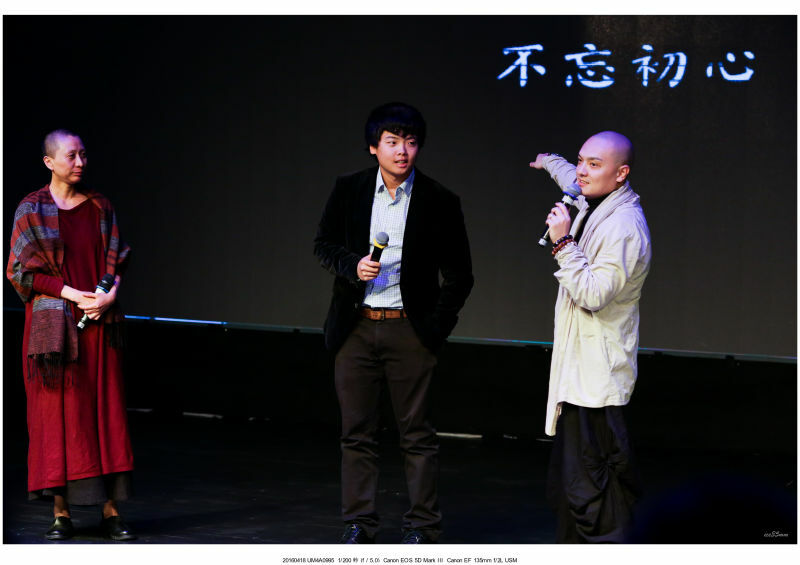 Free Theater Alliance is an independent organization founded by 4 independent theater practitioners (Su Xiaogang, Sun Yangyang, Diao Wei, Liu Zheng). The group aims to diversify the theatrical works by offering a platform for experimental and independent theater works, including or crossing multiple art forms. 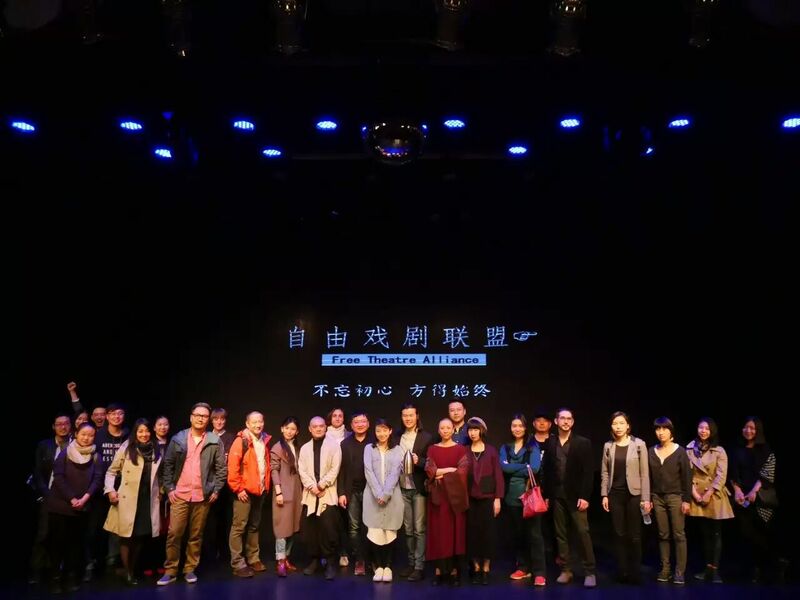 On April 18th, Free Theatre Alliance was formally inaugurated with an opening ceremony attended by a large crowd of theater artists. 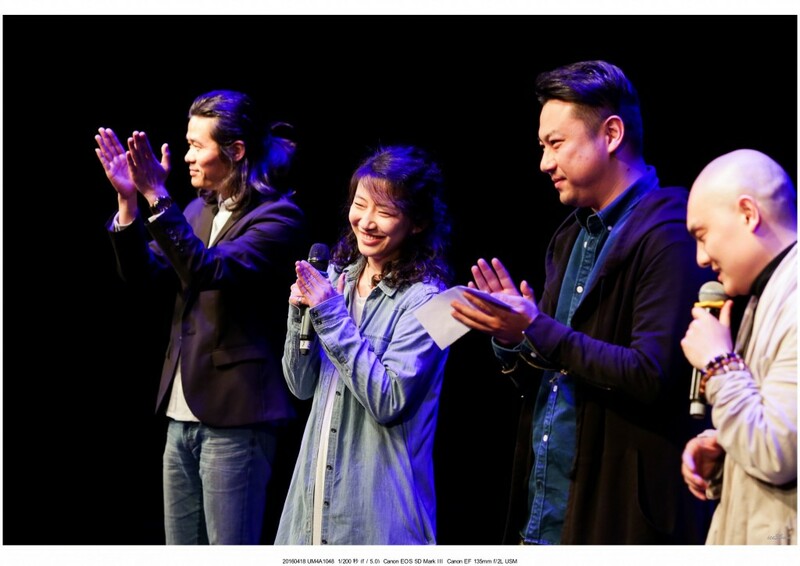 As partner of Free Theater Alliance, Ibsen International was participated to the opening. 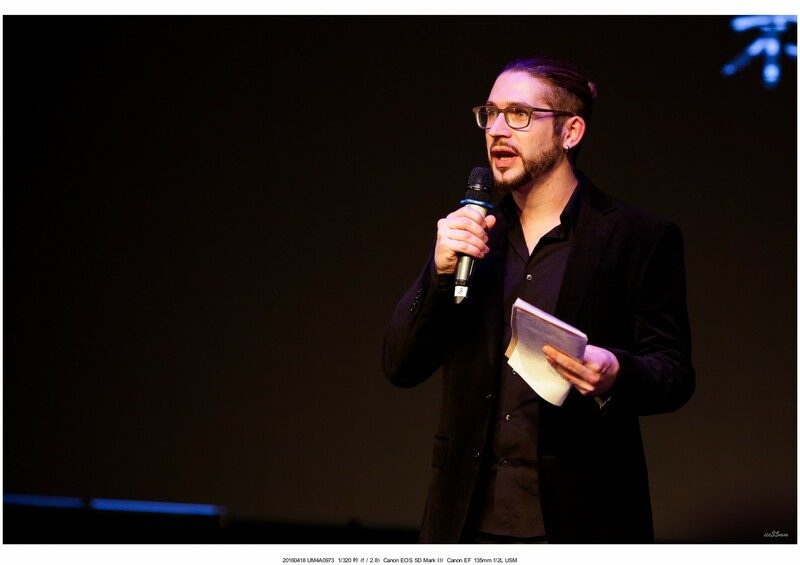 Artistic Director Fabrizio gave a speech discussing “why do we need experimental and independent theater ? “, expressing the artistic vision shared both by both organizations, and paving the way for future collaboration between the two. 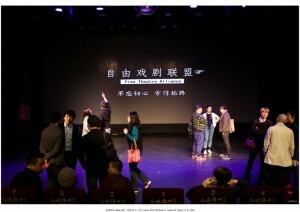 One of the main point of the joint press-release was the launch of the 123 Theatre Project, a platform to promote independent performers and theater artists. For three days a week (Monday to Wednesday), Qinglan Theater will be available to independent companies and artists completely for free, and the whole amount of box-office revenues will be given to the invited company. This initiative is thought as an alternative support platform for fringe artists who, without any institutional support, struggle to find space and means to continue their artistic research. Thanks to Su Xiaogang and the Free Theater Alliance for inviting me and Ibsen International, it is a pleasure to be here. My name is Fabrizio Massini, I come from Italy and I started doing theatre in a small independent group when I was 17 in my city, Florence. For me, discovering theatre was a revolutionary experience. It gave me the possibility to express my opinions and my thoughts about society, to be part of a group, and to belong to a community. But although it meant so much to me, I experienced theatre as a dying art form: something with a long tradition, very precious, but about to die. Back in 2001 in Italy, theatres were closing, funding for theatre being cut, and the theatre audience was becoming smaller and smaller, and older and older. Something that needed to be protected because it was disappearing. But then in 2009 I moved to China and my perspective changed. In Beijing, I have found an incredible enthusiasm for theatre, and a very lively theatre scene. Instead of closing down, theatres here were opening; a lot of young people, were starting to be involved in theatre; the audience was growing quickly. 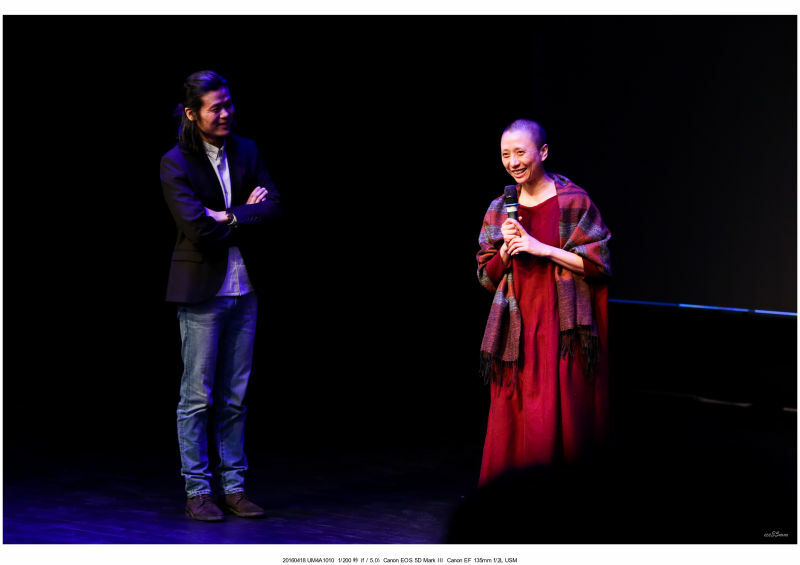 Overall, what China gave to me, as a theatre person, was hope: theatre was not a dying art form for middle-aged people, but a vital energy that could bring people together, and create a dialogue between the artists’ community and society. In these 7 years, in a way, theatre has been doing better and better. It moved beyond its small circle and into the mainstream: theatre now is somehow a fashionable trend in China. And overall, I think it’s a very good thing, because it means that people are willing to gather together, and share. However, as it is always the case with popular trends, something else happened: the logic of the market started to take over. Seven years ago, when I started doing theatre in PENGHAO or BJFF , there was a pure spirit of experimentation: the most important thing was to try something new, and share it with everyone. Recently, what I hear more and more, it’s about the market: “this is too strange, it’s not going to work”, “this is too avant-garde” “this has no market, forget about it”. After working as a producer for a few years, I am aware that you need to confront reality: you cannot ignore that there is an audience in front of you, and what you show needs to pass their test. But there is something about this commercial logic that I cannot, and will not, accept: that market and community are one thing. For me, community and market are two very different things. In my understanding theatre answers 2 basic needs. First, it asks us who are we as a community? What are our problems, what is important for us? Since ancient Greece, people would join theatre in the central square to debate these things together. It made them part of a community, and it still makes us reflect together on where we are going. Second, theatre asks each of us, as an individual: who are you, and what’s meaningful in your own life? Theatre is a very personal experience, that make us grow inside. A community is healthy when its members have a rich inner life. In my humble opinion, the theatre scene in China is now at a crossroad. It has a great potential, and it now can talk to an even larger audience. But this larger audience is too often read as a larger market to satisfy, and the demands of the market are different from the needs of a community. The market requires low-risk products, so that it can make profit, without losing investments. This means that creativity is dangerous: original things sometimes confuse people, it requires them to accept something different from what they’re used to, it pushes them towards change. If we accept the market logic as the main principle to make theatre, it will be a great cultural loss, not only for the theatre community, but for society at large. So, the questions I want to ask everyone tonight is: why do we need experimental and independent theatre? What can independent theatre do, that commercial theatre cannot? I think that experimental theatre asks questions that were never asked before. Commercial theatre gives familiar answers to familiar questions; it makes us feel comfortable, but it doesn’t bring us forward. I think that experimental theatre changes our perspective on the world, shows us the world as it could be, not as it is. And finally, and most importantly, while commercial theatre is interested in “paying customers” and “numbers”, independent theatre is about mutual support and community. Since 2010, Ibsen International has been working in China with the generous support of the Norwegian Embassy. For six years we have been running a project called “Ibsen in China”, that tries to do just that: we support independent artists, both Chinese and international, to create original productions. In six years we produced 100 projects including drama, contemporary dance, contemporary opera and more. Some of the independent directors we supported, like Liu Zheng or Wang Chong, created very successful performances who toured all over China, and also abroad (Norway, Australia, Japan). It has been an incredible adventure, and I think it showed me 3 things: first, the Chinese audience is very open, curious, and welcome original productions; second, there are many talents that only need a chance to blossom; third, that if I listened to what many people told me, great performances like “Night Shift” wouldn’t have seen the light, and I wouldn’t be here tonight to share with all of you. In conclusion, I want to congratulate the founders of Free Theater Alliance for what they’re doing: it’s brave, it’s noble, and it’s a gift to our community. I am sure that the “1, 2, 3 theatre” project can be a space of experimentation, sharing, and growing together: something that our society needs very much. On behalf of Ibsen International, I promise that we will do our best to put Free Theater Alliance on the map, and to keep doing what we do: connecting artists internationally to create exciting, original work. To give a little example of our work, I want to show everyone a little video we did during one of our projects, “New Text – New Stage”. 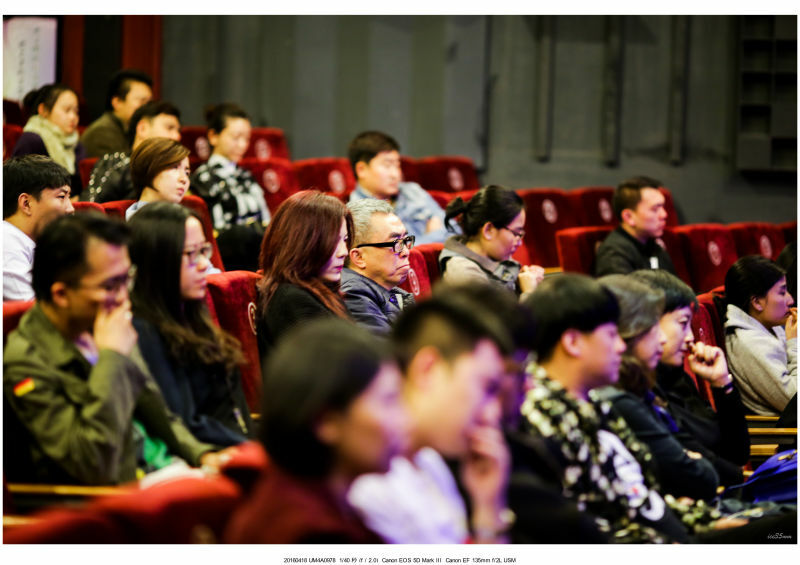 We invited 8 playwrights from 6 countries to China, to work together and write 8 original scripts. This was filmed in July 2015, after the first workshop. Afterward, we did 2 more workshops in Shanghai and Guangzhou. Now, the 8 scripts are ready, and we want to produce them all, in China and abroad.